New Delhi: A picture of the production-spec KTM 390 Duke has been posted online. Reportedly the pic was clicked at Bajaj’s Chakan manufacturing plant where the KTM motorcycles are manufactured for domestic and international market. 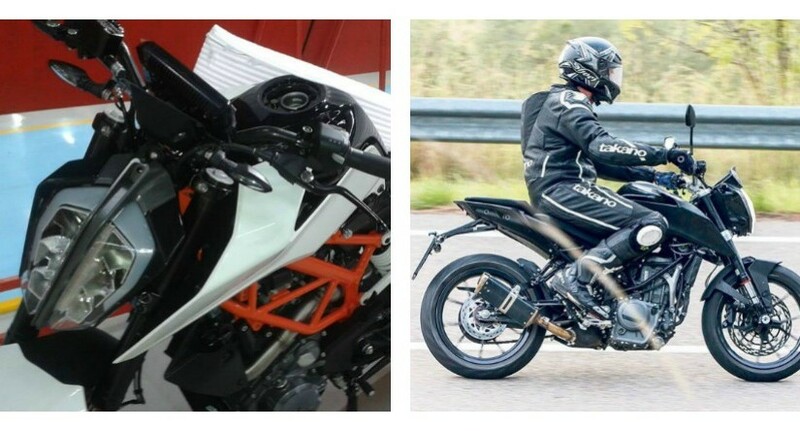 From the picture it is clear that the KTM 390 Duke will undergo cosmetic changes. The styling updates on the 2017 KTM 390 Duke include a sharper looking split multibeam headlight which might be a LED unit. The instrument cluster is much wider and seems to be based on the KTM 690 Duke’s unit. Also the switch gear, tank extensions and fuel tank have been revamped. Although not visible in the above picture but the tail section of the 2017 KTM 390 Duke is also much smaller with the tail lamps being neatly integrated into it. The underbelly exhaust system has also been replaced with a conventional single-sided muffler as seen on the updated KTM RC 390 in the European market. Among the highlights of the KTM 390 Duke is its stonking performance and we think that the power output figures on the 2017 390 Duke wouldn’t be much different from the current bike. What though is expected that KTM engineers will try to make the engine more refined with an addition of the a second balancer shaft in the cylinder head. The above system was recently added in the updated 690 Duke and we can see the same in the upcoming motorcycle to increase refinement levels. The 2017 KTM 390 Duke will get equipped with ride-by-wire and an updated ECU system to make it Euro 4 emission compliant. The frame has the bike has also been altered given the new tail section. The upcoming bike will mostly carry forward cycle parts like suspension, brakes and goodies like slipper clutch and sticky Metzeler tyres from the existing motorcycle. All these additions though will come at a price and expect the 2017 KTM 390 Duke to carry a Rs 15 to 20,000 premium over the current model. The new KTM 390 Duke will make its international debut at the 2016 EICMA motorcycle show in Italy later this year and should be launched in India by early 2017.